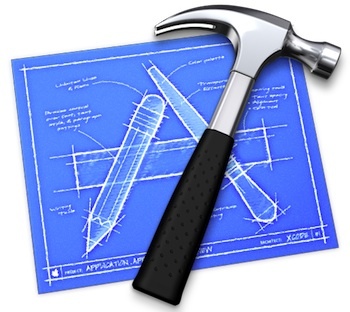 Apple recently simplified the way Xcode is installed, bundling everything into a single /Applications/Xcode.app/ directory and removing the /Developer directory that used to exist. There are some advantages to this approach, but one of the annoyances is that you now have to launch the iPhone or iPad simulator by opening Xcode first. Well, that’s not entirely true, you can actually still directly launch iOS Simulator without opening Xcode first by creating an alias. Note that modern versions of Xcode and OS X call the iOS Simulator simply “Simulator”, where you go will depend on which version of OS X the Mac is running. Alternatively, you can grab a pre-made alias in a zip bundle that will open iOS Simulator automatically. Throw that on the desktop or in the Dock for easy access. This applies to Xcode 4.3 and later, including Xcode 5, Xcode 6, and including Xcode 7, though Previous versions stored the iPhone/iOS simulator elsewhere so you’ll want to be sure to adjust the path depending on which version you are running. Great tip idea from @aral on Twitter, join 25,000 other fans and follow @osxdaily there too. New iPhone’s Bigger Screen to Have 5th Row of Homescreen Icons? Or you can launch it once via XCode and simply add it to your dock via a right click. That’s what I’ve been doing since I started coding iOS apps. Alternatively, you can also hit cmd + space, and search for it in Spotlight. this is the best answer. hit cmd + space, and search for Simulator in Spotlight. Yep you can just right click when it is open and then select “Options” and “Keep in Dock”. 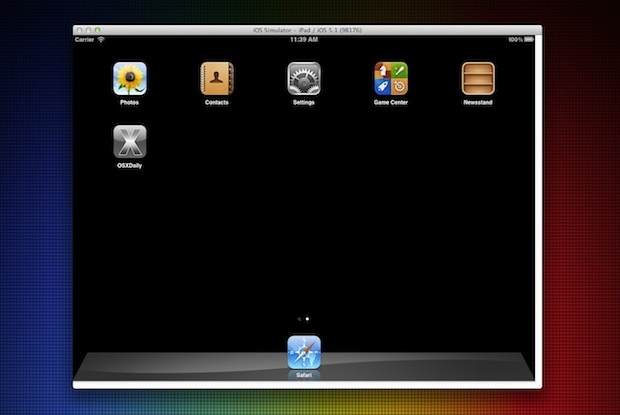 and drag “iOS Simulator” to the Dock or your desktop.